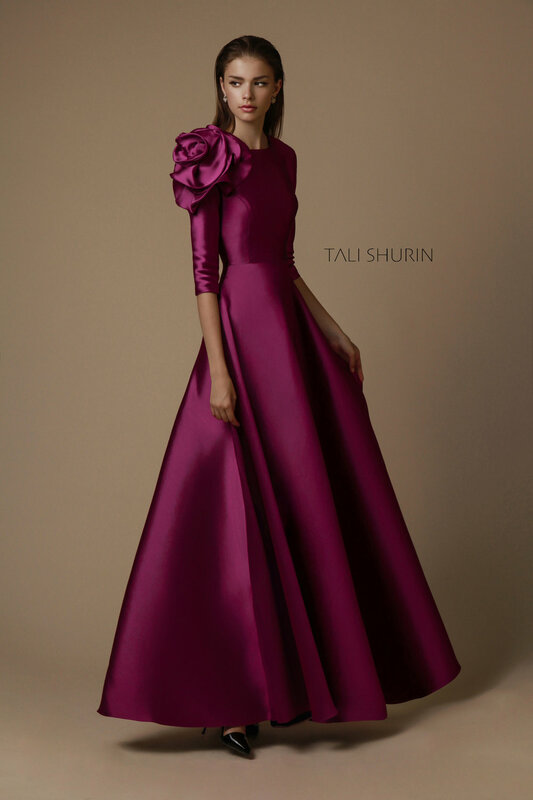 Fashion Designer Tali Shurin grew up in Jerusalem. Although she earned a B.Sc. in Computer Science, she dreamed of fashion since the age of 15. 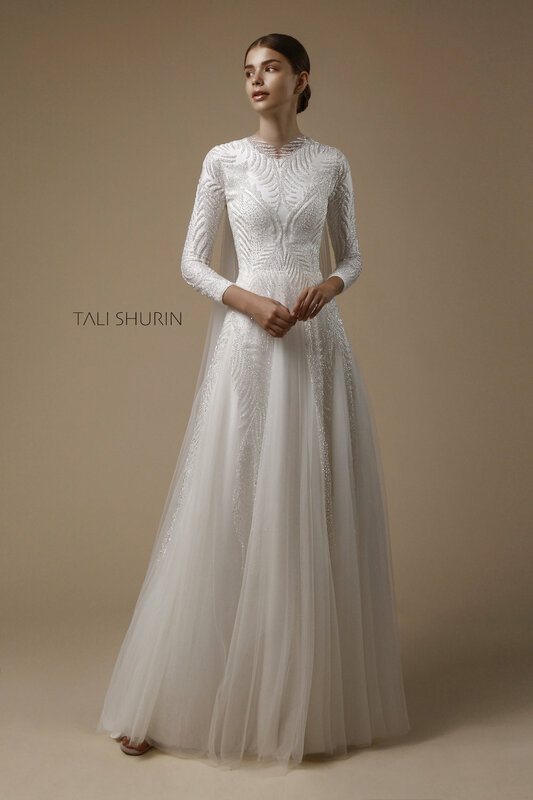 Now in the industry for the past twelve years, Tali specializes in bridal gowns and evening wear. 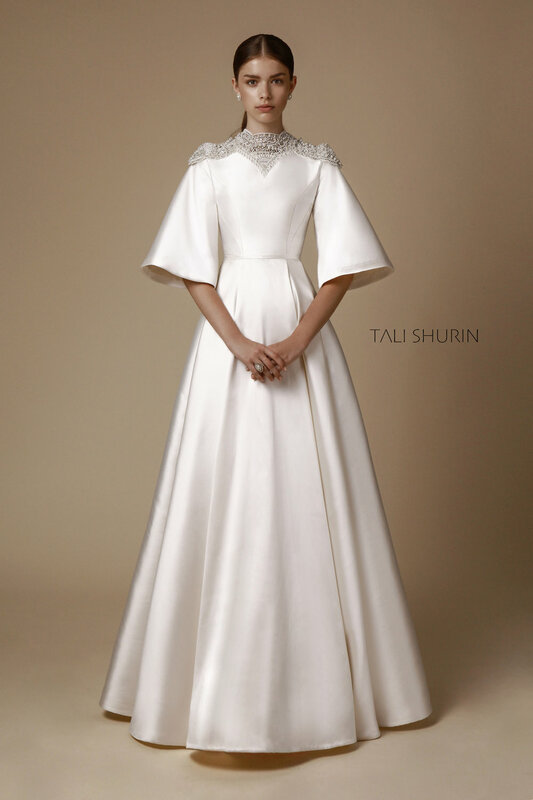 Inspired by other designers, namely Valentino, Chanel, Reem Acra, among others, Tali selects details from their work which she applies to her own projects. Her designs are tailored to the customer, but she maintains simplicity, so that each look can be adapted to different body shapes and sizes. Although she is constantly surrounded by glitz and glamour, Tali says that her personal style hasn’t changed radically. She prefers sport elegance with a twist- something a little different, but always elegant. As a working Mom, a typical day for Tali can be demanding. After she sends her children to school, she arrives at the studio at 9:30. The day is filled with client meetings, in between designing and fittings. Her gowns are sewn in-house by her team, and every detail is discussed with her throughout the process. She believes that a happy employee is vital, and she keeps the work environment fun and positive, with music, laughter, and camaraderie. After a long day, Tali gets home by 4 pm to tend to her children. When she isn’t at the studio, she loves traveling the world, reading, and relaxing with her friends and family. While technology seems to have infiltrated every business sector today, Tali uses just one app on her phone to assist her in the day-to-day running of the business. Otherwise, she says that her company is technology-free, a welcome surprise in today’s market. Her favorite part of the process? When a client calls her after an event to tell her how many compliments they received, and that they felt amazing. “That’s by far the best part about this business”, she says.